The first new Northern train is due off the CAF production line in Zaragoza, Spain in the coming weeks. The 98-strong fleet will come into service by Christmas and are capable of travelling at 100mph (160 km/h), will be fully accessible, and have wi-fi and plug sockets. 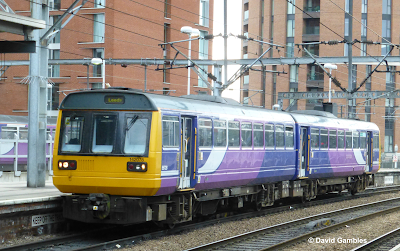 Northern's managing director said it was a "landmark moment" for rail travel in the north of England. David Brown added the "21st Century trains" will "significantly improve journeys". Once completed the new units will be sent to the Czech Republic for testing, before further trials in the UK. They are being introduced as part of a programme that will see Class 142 units disposed of and more than 70 trains refurbished.